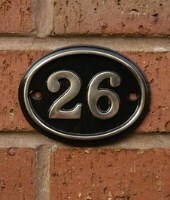 Solid brass house numbers are a stylish and long lasting way to make your home easy to find. Each house number plaque is traditionally cast using only the very best of materials. Plaques are available in a diverse range of styles and designs from sleek and stylish to charmingly classical.